From Australia to the Philippines, shopper preferences can vary based on technology adoption, local economies, and culture. 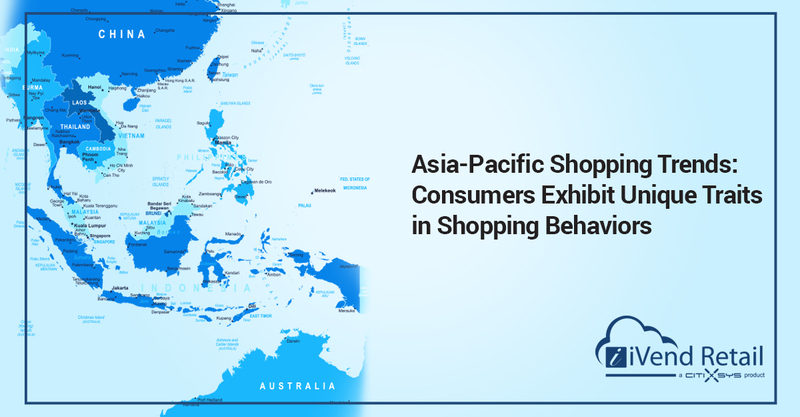 While the to iVend Retail 2019 Global Shopper Survey found that many overall trends in consumer behavior are reflected in the Asia-Pacific region, there are some regional differences in shopper preferences. iVend surveyed more than 2,700 shoppers in 11 countries for this year’s survey, measuring attitudes and behaviors related to retail purchase decisions. Below we’ve summarized the results from Asia-Pacific consumers. Loyalty programs have become a critical part of increasing sales and repeat business from shoppers. In this year’s survey, 91. 9% of respondents worldwide said they participate in such programs, making purchases to earn loyalty points, and this is true in Asia-Pac as well. However, shoppers across the region like to manage their programs differently. For example, 44.4% of Australians prefer to manage their account in person with their loyalty card at a store, while Filipinos said they prefer to do it through an app on their phone (35.6% of respondents). The survey asked shoppers about the type of technology motivated them to shop with a particular retailer. While shoppers across the region were interested in tech that improved the convenience of the shopping experience, Filipino shoppers were drawn to cutting-edge innovations. For example, 30% more Filipino shoppers wanted to see augmented reality interfaces through a phone app, while a self-checkout station was more important to Australians (52%) than shoppers in the Philippines (48.8%). Conversely, chat bots for customer service on a retailer’s website were more attractive to consumers in the Philippines (44%) than those in Australia (19.2%). Retailers are increasingly using websites and social media for promotions. The percent of shoppers that have never made a purchase because of an online or social ad was higher in Australia (34.8% compared to just 6% in the Philippines), and Filipino shoppers are twice as likely to respond to an ad than Australians. In Asia-Pacific region, the majority of shoppers said email was their most preferred method of communications from retailers about promotions, coupons, events, product offers and personalized product recommendations — 73.6% of Australians and 61.6% of Filipinos indicated that was their preference. According to the survey, using a retailer app on a mobile device was the second-most popular method of receiving communications, as reported by 49.6% of shoppers in the Philippines and just 24.8% of shoppers in Australia. The option to buy a product online and pick it up in a store has gotten more popular since last year. The global trend for “click and collect” usage showed a 30% increase over the previous survey results. More than three quarters of shoppers in the Asia-Pacific region are on board with click and collect, but it’s much more widely used in the Philippines (86%) compared to Australia 75.2%. Worldwide, 81.4% of shoppers reported using click and collect. Retailers that hope to reach Asia-Pacific shoppers will need to use different approaches for each country, as preferences vary across the region. To appeal to those shoppers, retailers will need to deploy a broad array of different technologies, while implementing an integrated omnichannel retail technology platform and strategy to address the shopping expectations of consumers in the Asia-Pacific region. If you have stores anywhere in the Asia-Pacific region we have a highly scalable, integrated omnichannel retail solution to help reach more customers. Our team is looking forward to hearing from you. Schedule a demo today. 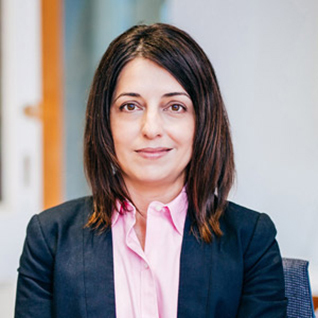 Executive Vice President of Global Partners and Alliances for CitiXsys, Paula Da Silva has more than 25 years of experience in information technology. Since 2006, Paula has been instrumental in building iVend Retail into a global market leader in the retail industry and currently spearheads the recruitment of channel partners to expand iVend Retail’s worldwide footprint. As a thought leader she has authored multiple online articles for publications like Apparel, Retail Touchpoints, Total Retail, RIS News and Multichannel Merchant. Frequently invited to speak, she’s made appearances at Retail Now, The Australian Retailer Association and at Sage Partner Community events. Paula’s passion for retail extends to her personal life where she has made shopping an art form, visiting premier shopping destinations around the globe from Sydney to Los Angeles.